After reading about Jillian’s homemade floral Mickey ears I was inspired to exercise my own craftiness and make my daughter an outfit for her first trip to Disney! The first thing I did was find some inspiration fabric. We’re going to Walt Disney World while it’s all gussied up for Christmastime so I chose a vintage-y Christmas Mickey & friends fabric. 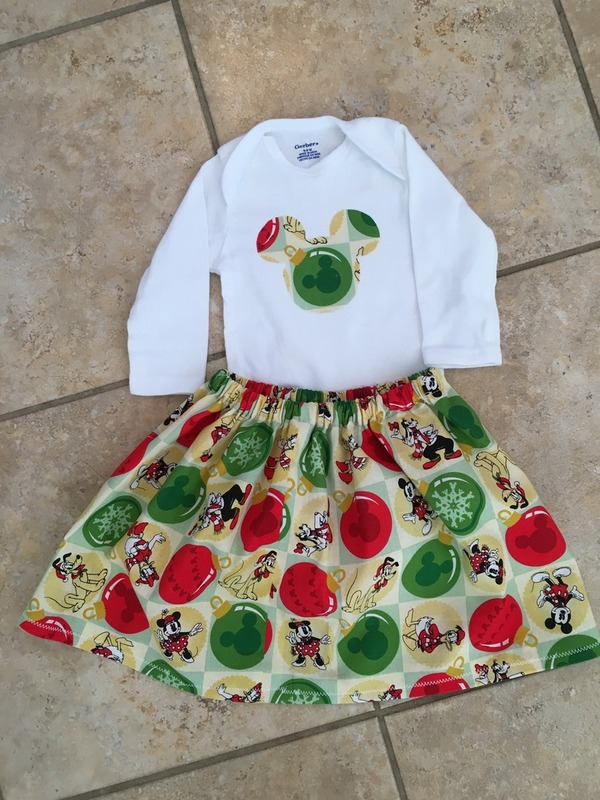 You’ll need a tee shirt (or onesie for baby), scissors, an iron, a printout of a Mickey head in an appropriate size for your shirt, Heat N Bond Ultrahold and your fabric. Trace the Mickey head on to the paper side (not the bumpy side) of your Heat N Bond. Press the iron on to the Heat N Bond for 6-8 seconds as directed on the packaging. Let cool. Cut out the Mickey head. Remove the paper backing and place on the shirt where you’d like it to be. Press the iron on the Mickey head for another 6-8 seconds as directed on the packaging. This same process can be used to make any design! I went with a Mickey head because of the limited space on a baby’s onesie but you could do your name (make sure to print the text in reverse for the tracing step), a silhouette, anything really! Easy and fun. As you can see, I decided to make a matching skirt, too! This project is great for a beginner. The pattern can be found here. 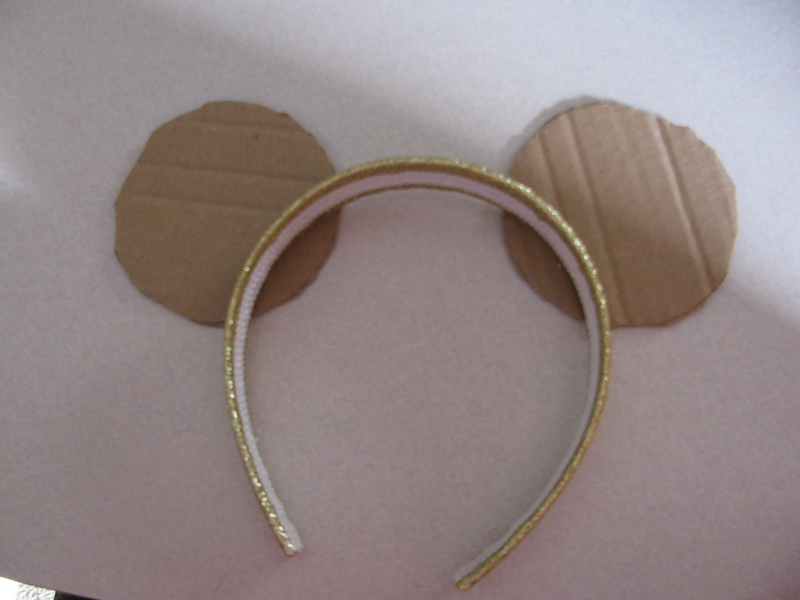 Lately, I have seen so many pictures on Instagram of floral mouse ears. Being a crafty kind of person, I thought I would try my hand at it. My first stop was to YouTube for some tutorials and they were all pretty similar. I decided to keep it simple and got some great results. This is a very easy craft to do and it takes minimal equipment to make. In fact if you are a crafter you may have a lot of these things around your house. I had to purchase flowers and it happened that fall colors were in season at Joann’s which is perfect for my November vacation. 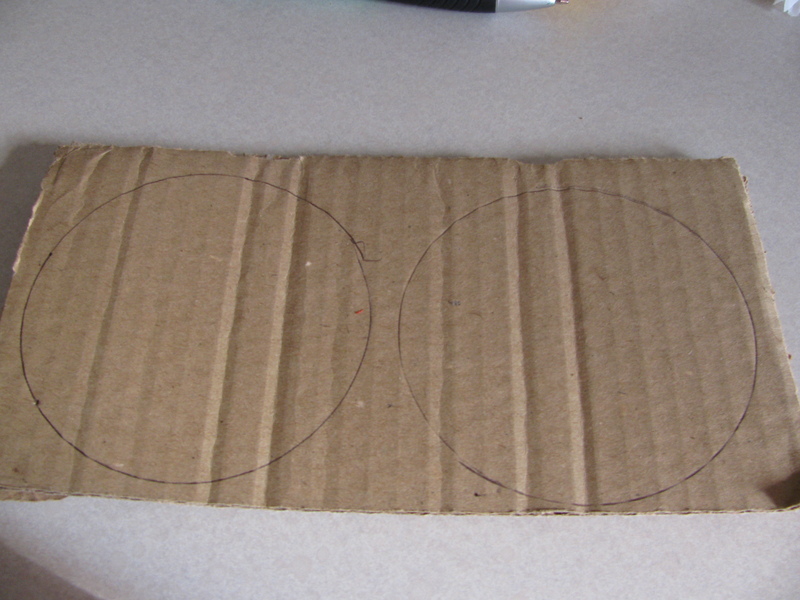 Using a glass to make circles on the cardboard. 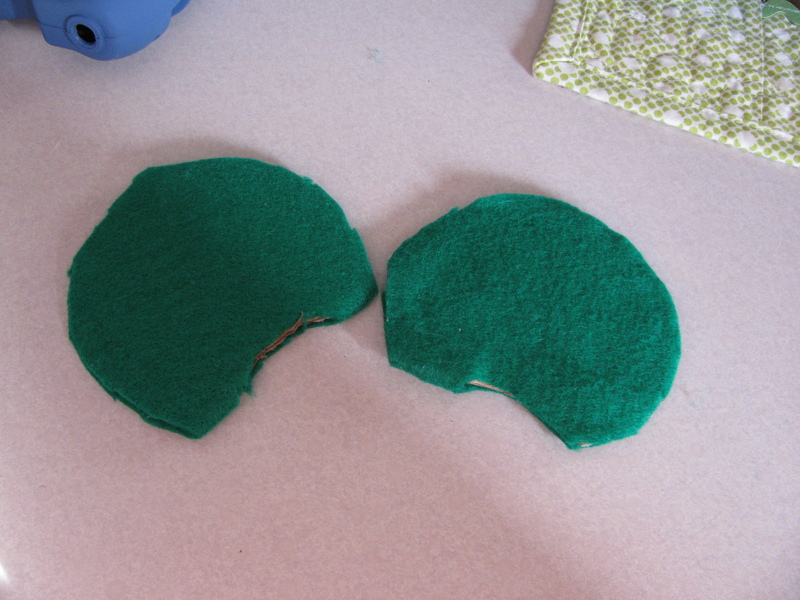 Cut out the circles and use the headband to cut the bottom part of the circle so that it will lay flat on the headband. Cover the cardboard with felt and glue down. Cut around the felt making an opening at the bottom. 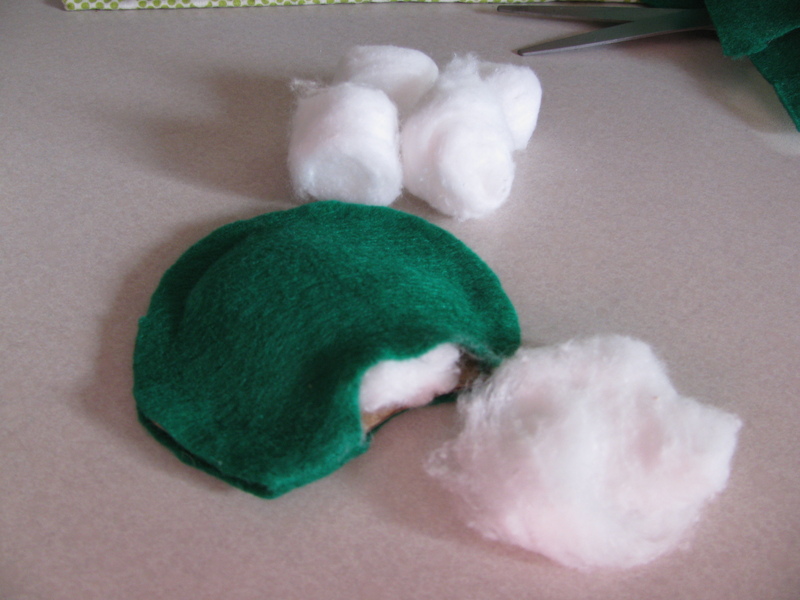 Stuff the front of the felt with some cotton balls to give it some volume. 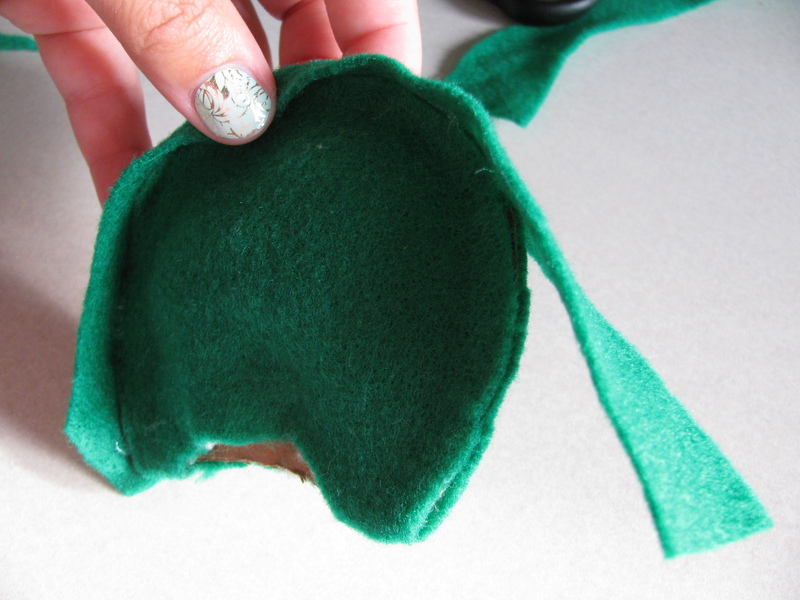 Take an additional piece of felt and glue it down around the edge of the ear. 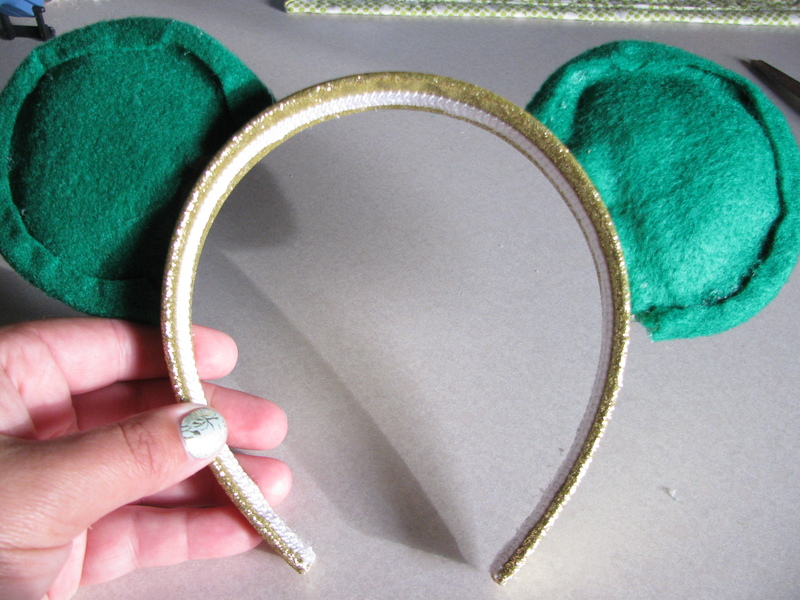 Glue the ear onto the headband and then start adding flowers. I started on the inside edges and worked my way around. Once the front is dried start on the back and finally cover the edges. Viola! 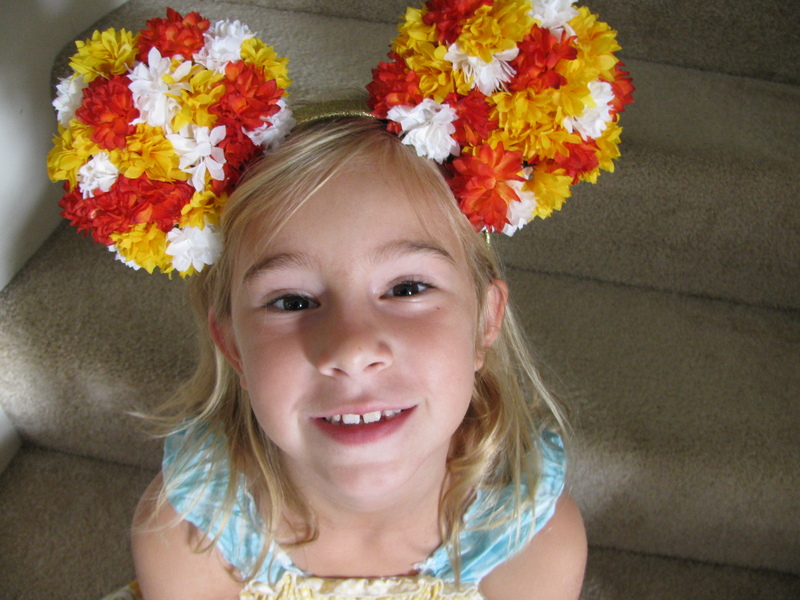 You have your own floral mouse ears! You will find these are easy to customize with a bow, small LED lights, or even changing the placement of different colored flowers. I’d love to see a picture of your ears in the comments or on our Facebook page! I’m a Pinterest crafter…that means I pin crafts but never do them. I make a lot of fails so I like to dream I can do all these fun things. However, we have a Disney vacation scheduled for later this year so I wanted something easy-ish and fun to make for us to wear. 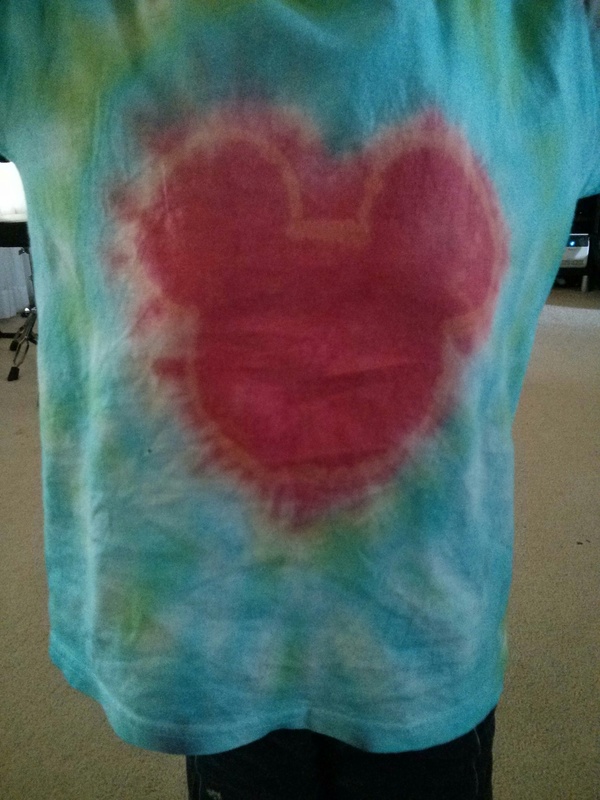 I found some tutorials for making Mickey head tie dyes so I gave it a shot. Step 1: Get yourself as many white 100% cotton shirts as you will need for your family. I needed five shirts. 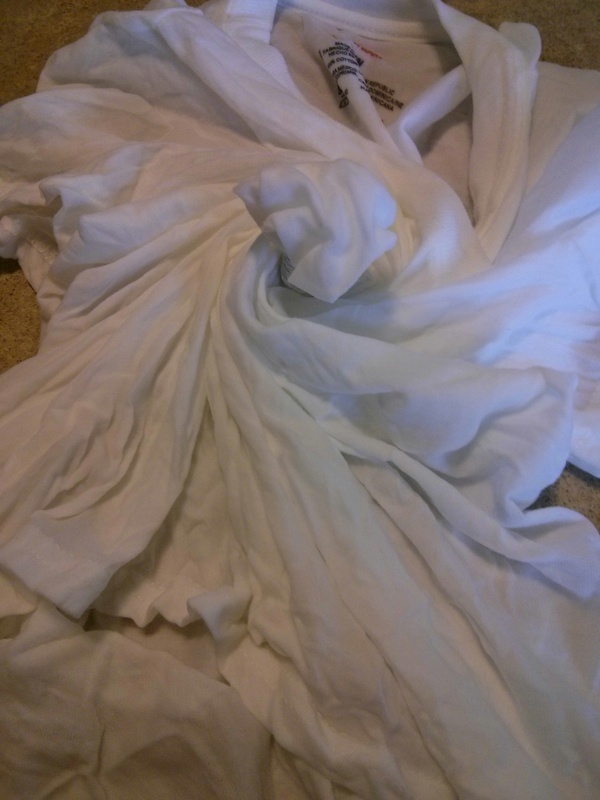 You don’t want to use any shirts with polyester in them as synthetic fibers don’t absorb the dye as well as cotton. No point in doing this work for nothing! Step 2: Get some dye. I used a couple of different brands because my kids all wanted different colors. If you get the one step dyes, you will not need to do a soda ash soak first. Soda ash aka Washing Soda is a presoak that will help your dyes stay bright. I skipped this step but you don’t have to. You can purchase tie dye kits at craft stores and even at Walmart. The kits come with the dyes, rubber bands, and plastic gloves. I recommend picking up an additional pack of rubber bands just in case you run out or some break. I could have used a few more. 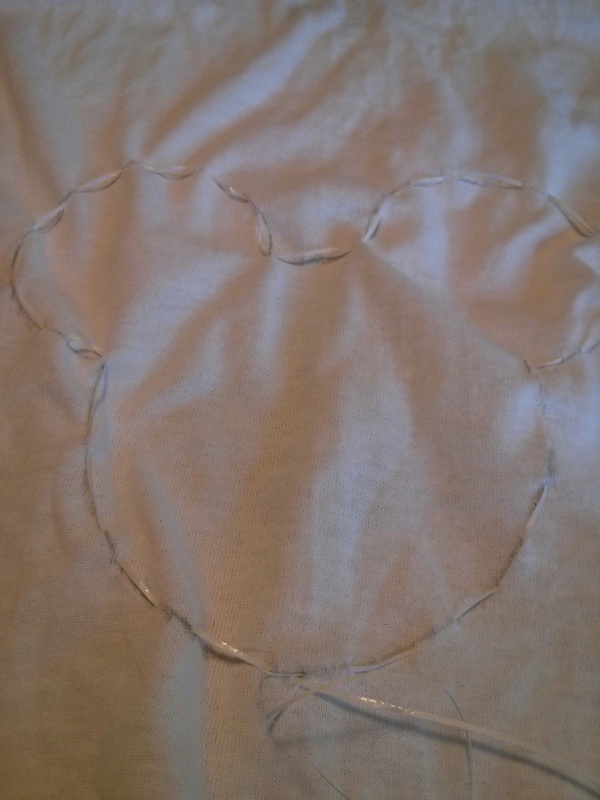 Step 3: Make your Mickey shape. I wanted the classic Mickey three circle silhouette so I just printed it out, cut it out, then traced it on a piece of thin cardboard. 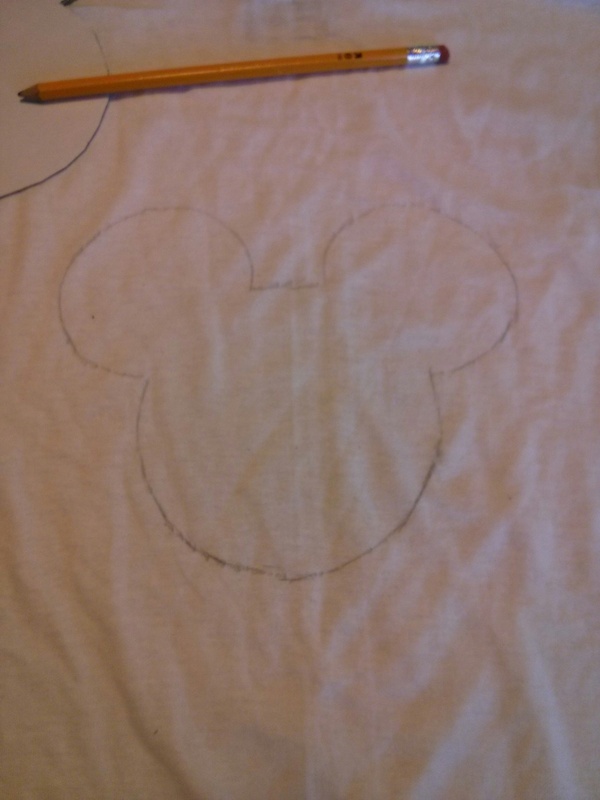 Once you’ve done that, use a pencil (the marks will wash out) to trace around Mickey’s head onto your shirt. Step 4: Thread your needle with the dental floss. You’re going to want to do a baste stitch around Mickey’s head. Yes, I’m asking you to sew with dental floss. Stay with me here. You’ll want to start at the bottom of Mickey’s head and do a basic up down stitch on the pencil line you drew. Keep your stitches rather close together. This will help make sure Mickey’s head is well-defined. When you go all the way around and get back to where you started you’ll want to pull the two ends of floss like a drawstring and then knot them together. Cut off any excess. Make sure you only stitch on the front side of the shirt. If you sew all the way around to the back, you’ll get a weird mark on the back of the shirt and that’s not what we’re going for here. Step 5: Once you’ve got your Mickey head all drawn up into a tuft, you’ll want to put some rubber bands below your floss line. You want to make about an inch worth of rubber bands to separate the floss from the rest of the shirt. This will give you a nice clean border around your Mickey shape. Again, make sure you’ve only banded the front of the shirt and not the back as well. Step 6: Wet down your shirt and wring the water out (if you’re not doing the soda ash step, that is). You want it damp, but not dripping. Lay it out on a flat surface, then grasp the Mickey tuft part and slowly spin the shirt until you make a cinnamon roll or danish like shape. Take a few rubber bands and place it on the roll so it kind of looks like a pie. Make sure the tuft is sticking out of the top. Step 7: Go ahead and cut some plastic wrap and lay it off to the side. Your hands are about to get pretty messy so the more prepared you are, the better. Prepare your dye. I just had to add water to the squirt bottles that came in my dye kit because the powdered dye was already inside. Pretty easy. Do not premix your dye before you have all your shirts prepped because the dye is only good for about 45 minutes before it starts to lose its potency. Step 8: Get your gloves on unless you like rainbow hands. 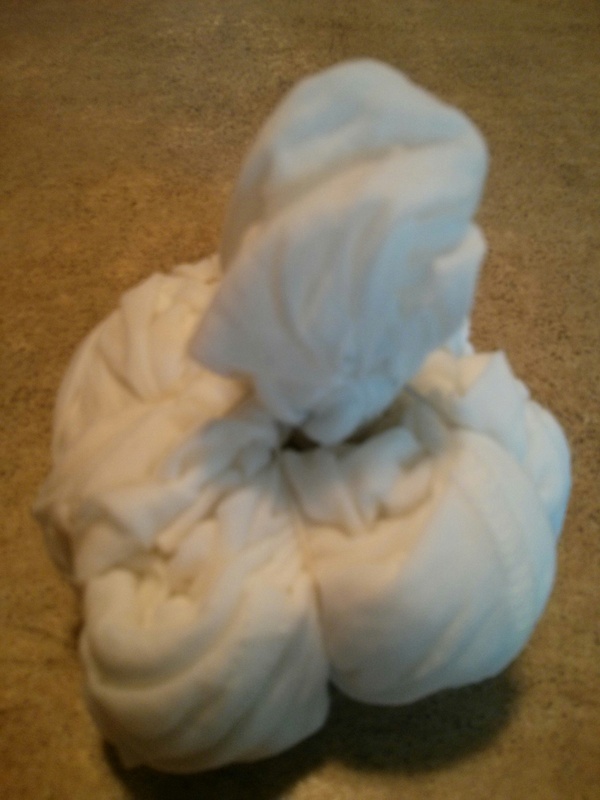 Hold your shirt tuft out over the sink and go ahead and dye just the tuft. You want to make sure not to get any of this color on the rest of your shirt so Mickey’s head will stand out. 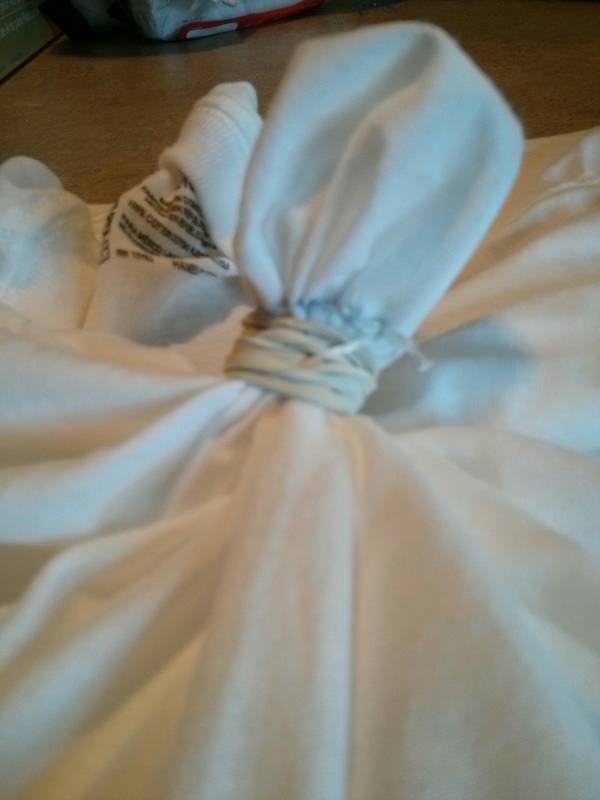 Get the tuft good and soaked, dripping even, then wrap just the tuft in plastic. Step 9: Dye the rest of the shirt. I used different colors on the different sections of the shirt made by the rubber bands. You really want to use plenty of dye here. Saturate the shirt. 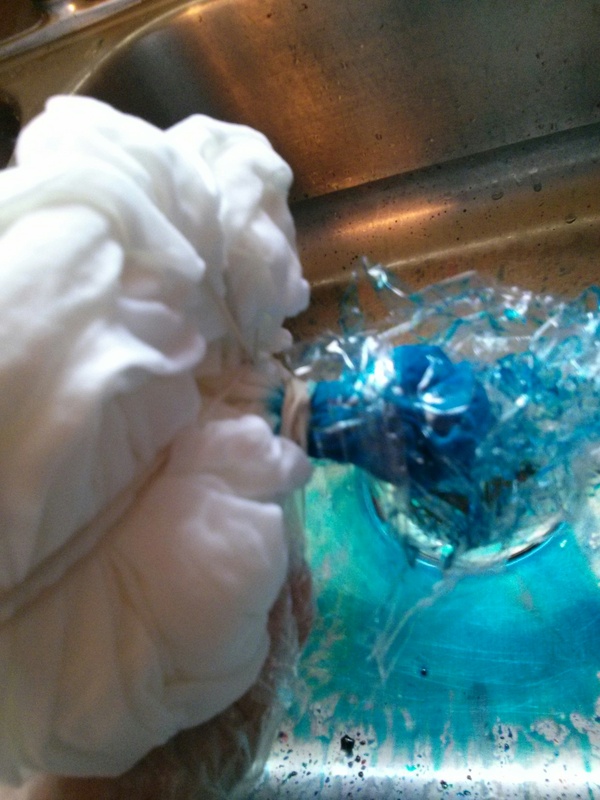 You might even stick the nozzle of the squirt bottle into the folds of the shirt and give a squeeze of dye into there. The point is to get as much color on the shirt as possible. After all, if you’d wanted a white shirt we could have skipped all these steps. No need to have leftover dye either. Use it all up! 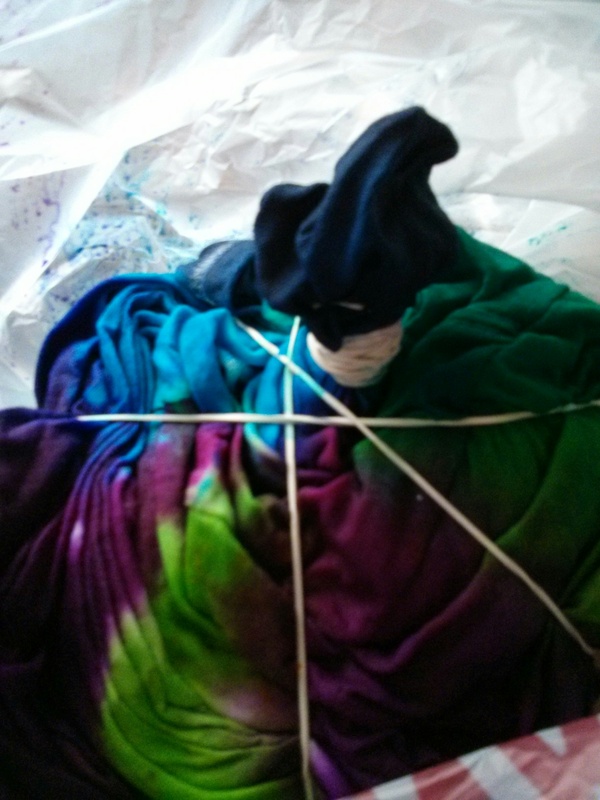 Step 10: After you’ve got your shirt saturated in dye, wrap it up in plastic wrap and leave it to set for at least 6 – 8 hours. You could even leave it overnight if you wanted. I rinsed mine after 8. Step 11: Once your shirt has set, open it up and clip off all the rubber bands. Remove the dental floss as well. Then you’re going to want to rinse all the extra dye out of your shirt under running water until the water runs clear. Check out your handiwork! Hopefully it looks pretty good. Step 12: Chuck your shirt into the washing machine on a cold setting with no detergent and let it rinse some more of the dye out. Hang dry. Now, perhaps, like me, you’re not completely satisfied with how the Mickey head turned out. This is fixable. 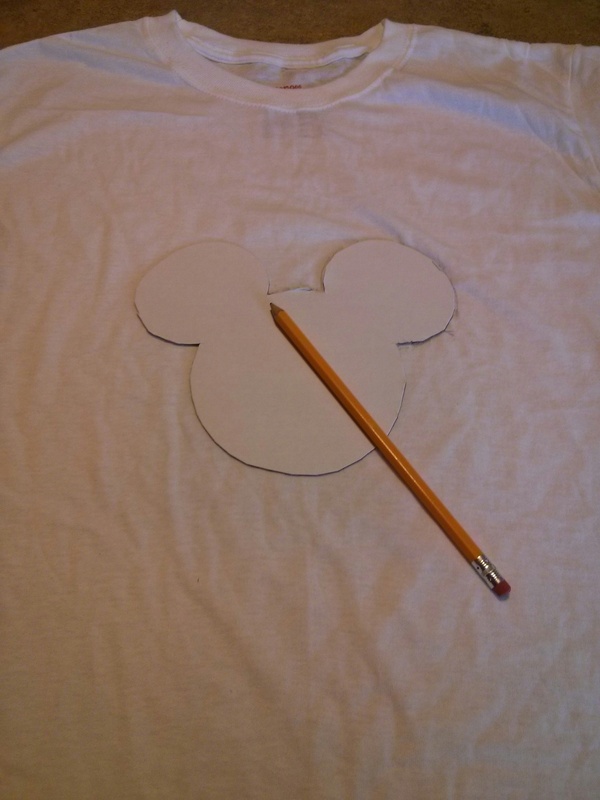 You can grab a Clorox bleach pen and use your Mickey template to trace a new Mickey head. Make sure you put something like a bag or plastic between the front of the shirt and the back so you don’t get bleach on the back side. Leave the bleach on for about 20 minutes and run through another wash cycle. Congratulations! You made a thing! 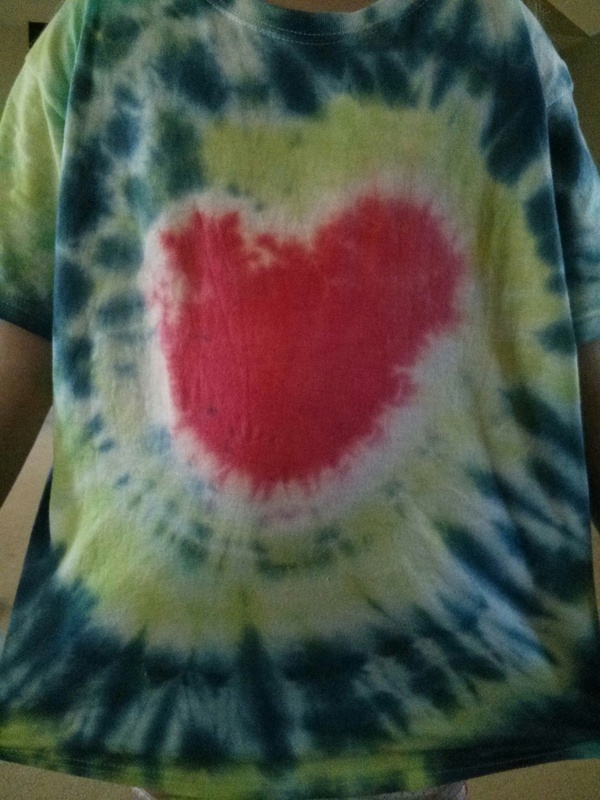 If you decide to make a tie dye, post a pic in the comments! We’d love to see them!